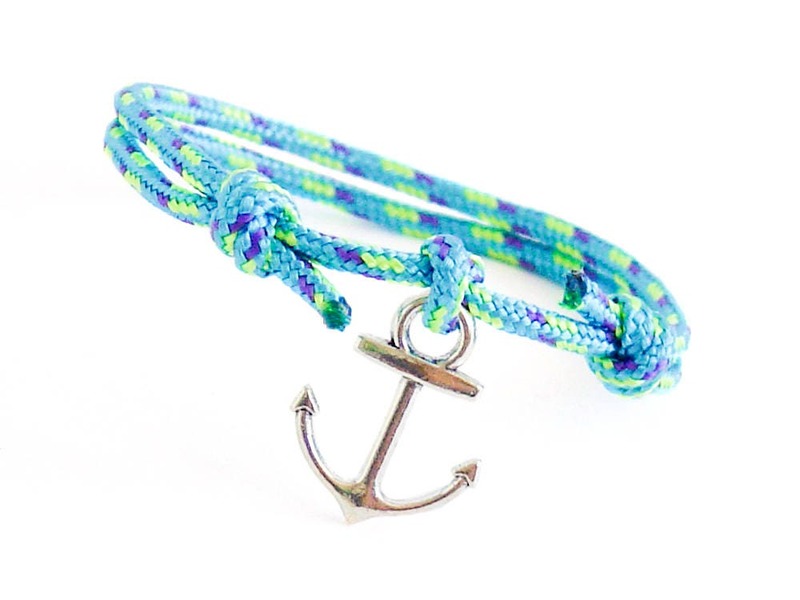 Guys jewelry - rope mens bracelet, knotted as mens anchor bracelet with silver or brass colored charm. 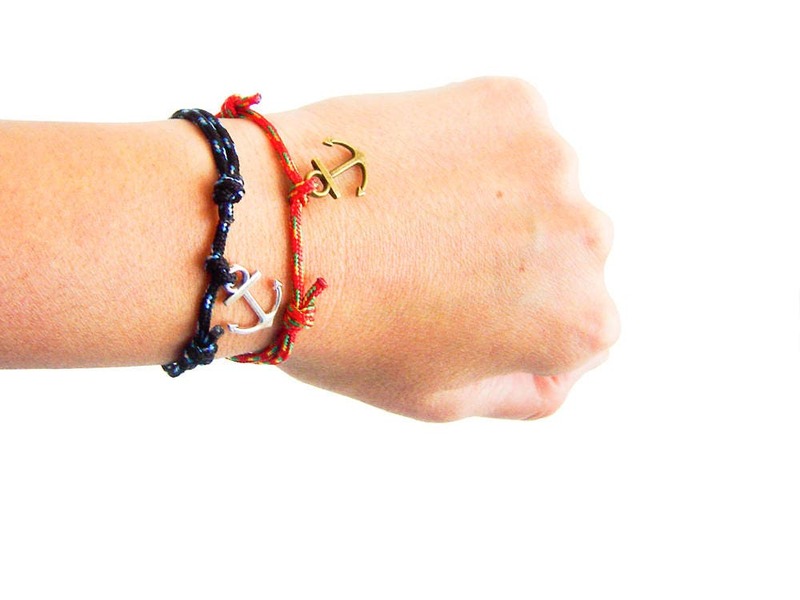 These bracelets are one of our best suggestion for men gift. 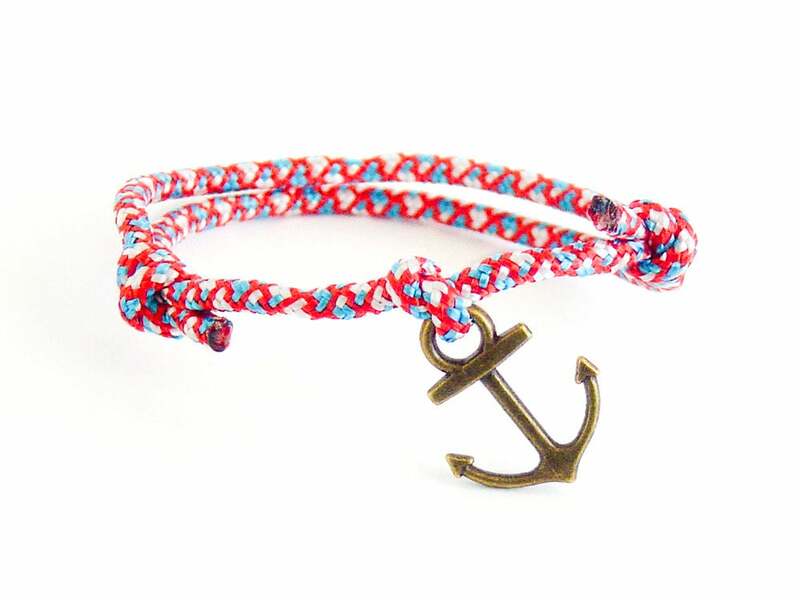 They are knotted by us of real climbing rope prusik, that will not lose its color. 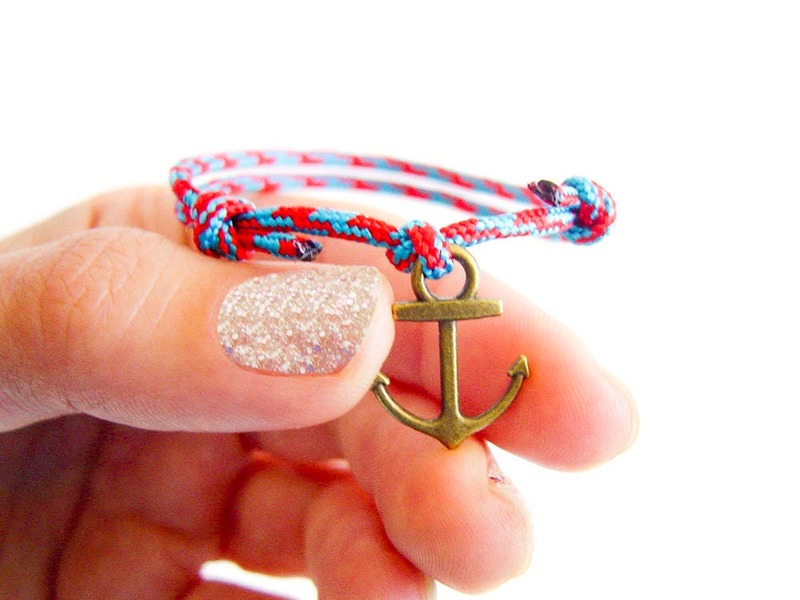 They are decorated with mini anchor. 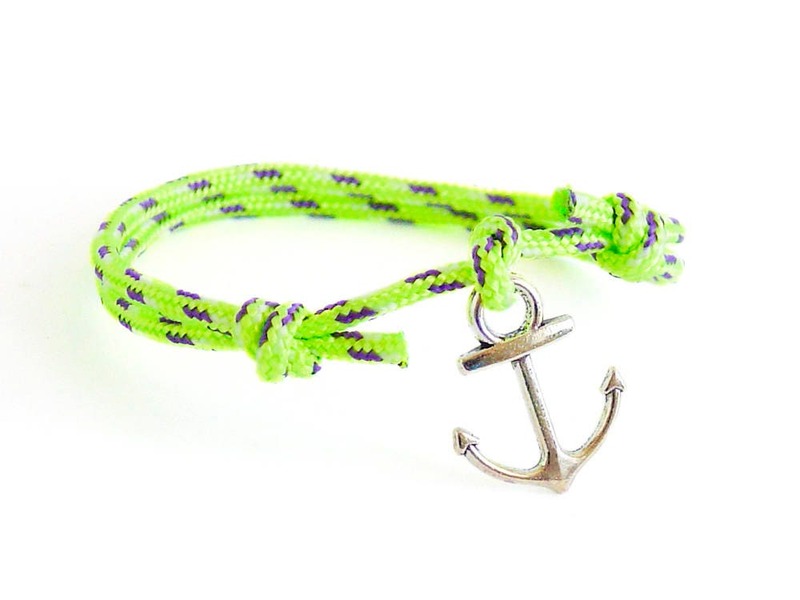 Wearing this hope mens bracelet, you will always have your reserve rope with you. 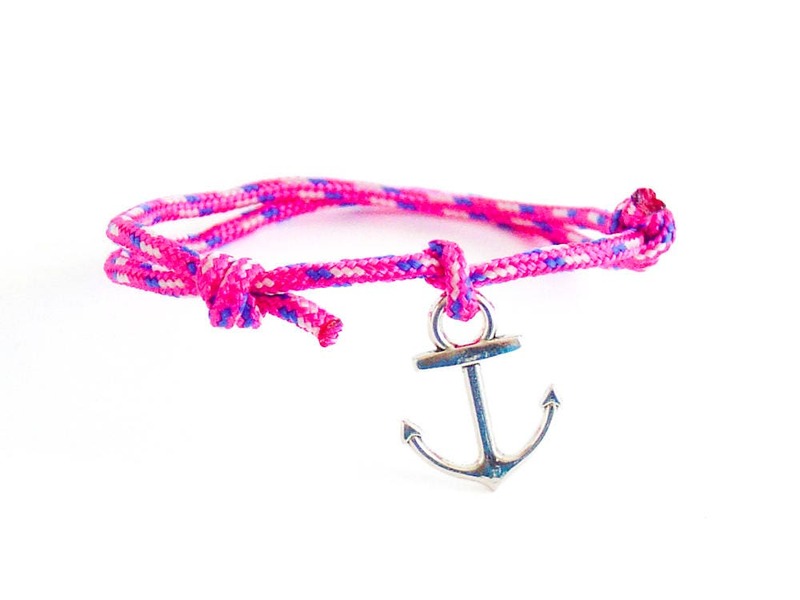 * One size fits all - it is unisex. 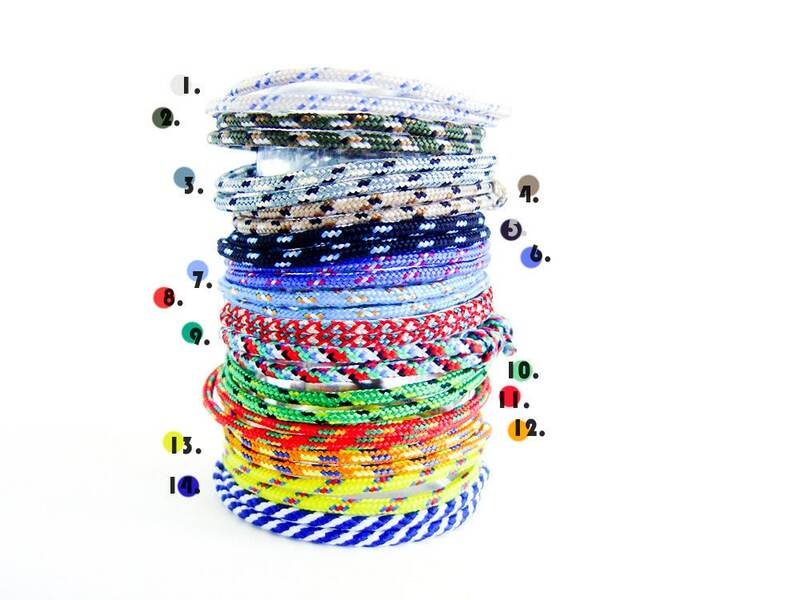 * The diameter of the climb rope is 2 mm (1/16"). 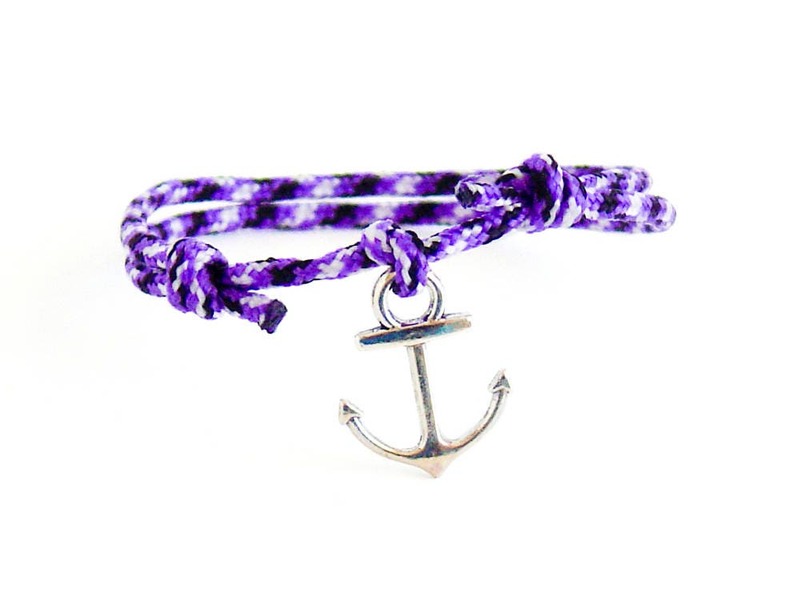 * The silver plated anchor is with dimensions: 1.9 cm long (3/4"), 1.5 cm (9/16") in the widest part. 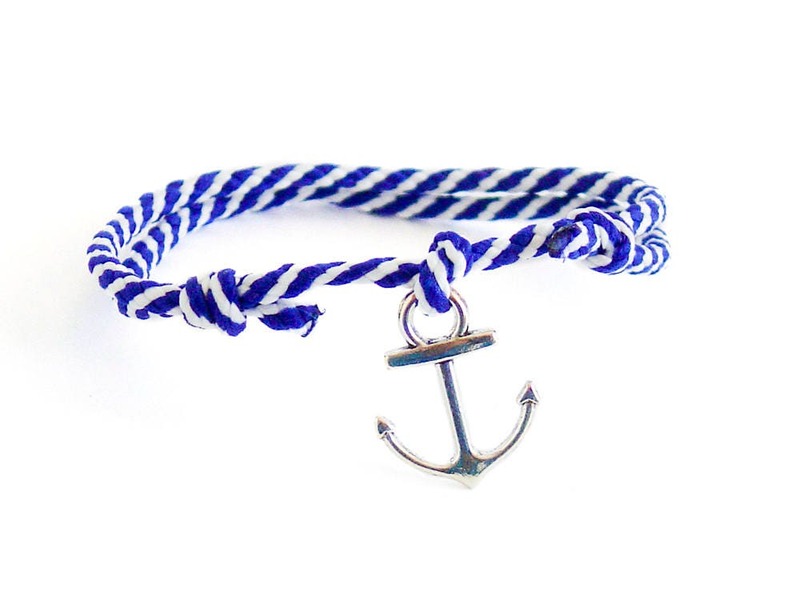 You can order this mens anchor bracelet in all colors from the pictures. 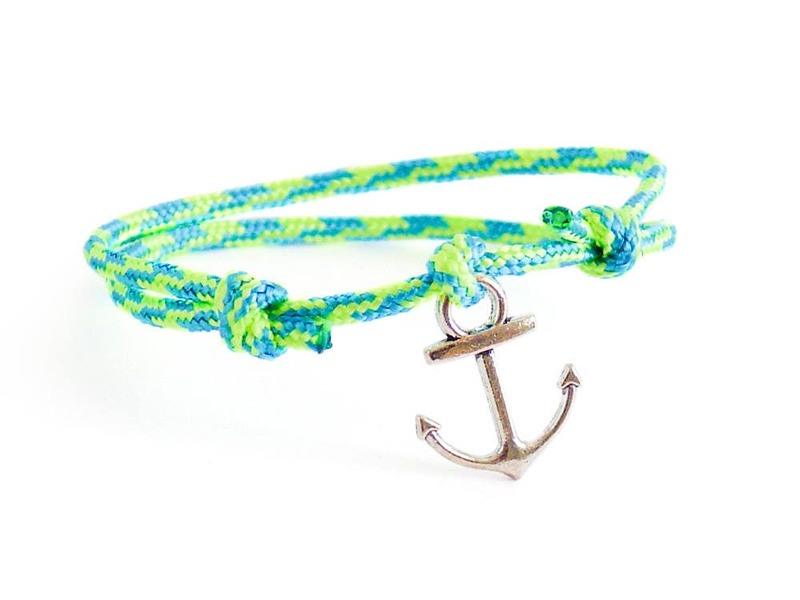 Keywords: guys birthday, husband gift, boyfriend gift.